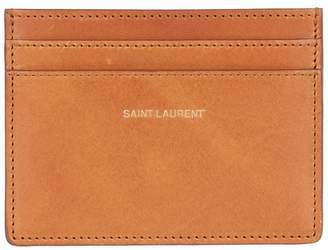 Overview Keep your essentials close to hand with Saint Laurent's luxurious card holder. Slim and compact, the design is imagined in smooth leather with gold-tone logo detailing. Equipped with four card slots, it makes a practical everyday accessory to carry your most-used cards.